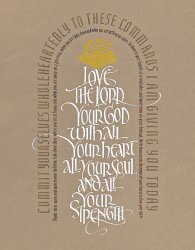 And you must love the LORD your God with all your heart, all your soul, and all your strength. 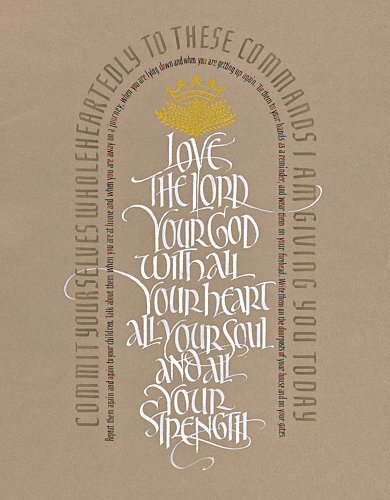 And you must commit yourselves wholeheartedly to these commands I am giving you today. Repeat them again and again to your children. Talk about them when you are at home and when you are away on a journey, when you are lying down and when you are getting up again. Tie them to your hands as a reminder, and wear them on your forehead. Write them on the doorposts of your house and on your gates.